The White House is moving to permanently ban CNN reporter Jim Acosta from the White House after a temporary legal setback, CNN’s Brian Stelter revealed Sunday evening. The White House sent a letter to Acosta notifying him that his pass granting him temporary access to the White House grounds would be suspended after a temporary restraining order runs its course. The letter is the latest in the fight between the White House and the CNN reporter who caused a fracas at a recent presidential press conference when he refused to give up the microphone. 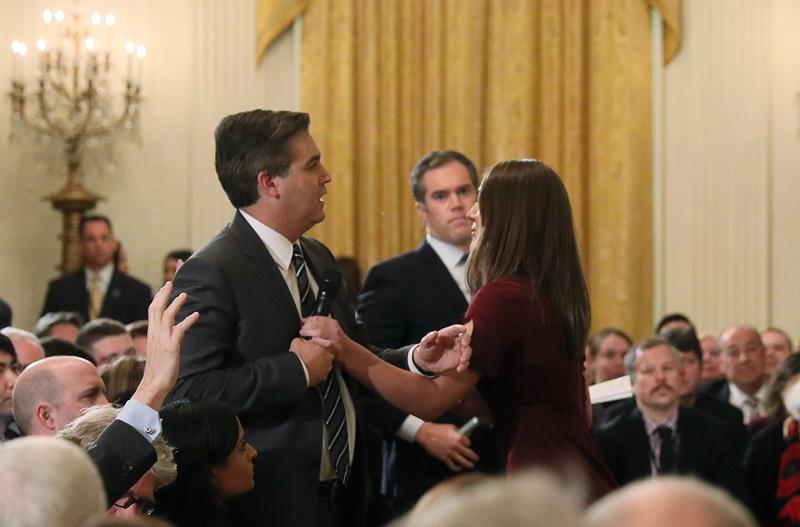 The White House pulled Acosta’s press pass nearly two weeks ago, alleging that he behaved in an unruly manner during the presidential press conference and put his hands on an intern assigned to take the microphone away from him. CNN’s Brian Stelter speculated in his Sunday evening newsletter that the White House is likely trying to establish a paper trail to indicate that due process was given to Acosta, as the remainder of the legal battle remains to be fought out in court.